Michael Tilson Thomas will conduct Mahler on opening night of Tanglewood. Soprano Layla Claire will sing Mahler on opening night. 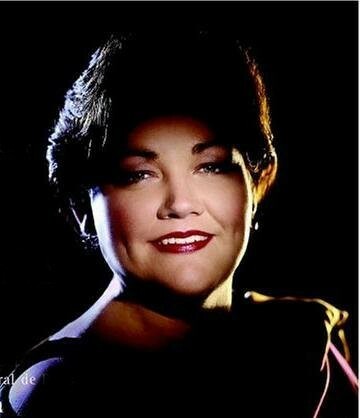 Mezzo soprano Stephanie Blythe will perform on July 9. The BSO’s portion of the 2010 Tanglewood season opens on July 9 and closes on August 29, with its annual performance Beethoven’s Ninth Symphony, presenting a total of 22 programs on Friday and Saturday evenings and Sunday afternoons throughout the summer. Orchestra program highlights include an all-Beethoven concert, July 19; Mozart’s Requiem , July 16; Mahler’s Symphony No., July 17; an all-Brahms concert, July 24; Prokofiev’s Romeo and Juliet, July 30; Strauss’s Four Last Songs and Mahler’s Symphony No. 4 with soproano Hei-Kyung Hong, July 31; Elgar’s Cello Concerto with Yo-Yo Ma, August 1; Gershwin’s An American in Paris on a program with the composer’s Piano Concerto with soloist Jean-Ives Thibaudet, August 15; music of Golijov and Canteloube featuring soprano Dawn Upshaw, August 20; music of Mendelssohn and Beethoven performed by violinist Joshua Bell, August 21; and Holst’s The Planets, August 27. Two opera performances, a BSO concert performance of Mozarts The Abduction from Seraglio on July 23 and a fully staged TMC production of Strauss’s Ariadne auf Naxos on August 1, 2, and 4 are also highlights. Film Night with the Boston Pops and John Williams takes place on August 14. The Tanglewood premiere of The Dream Lives: A Tribute to the Kennedy Brothers with narrator Alec Baldwin on a Boston Pops program with folk icon Arlo Guthrie, under the direction of Keith Lockart, takes place on July 18. Tanglewood on Parade (August 3), a full day of musical activities culminating in a gala orchestra concert, led by Keith Lockhart, John Williams, and Stefan Asbury, celebrating John Williams’s 30th anniversary season at Tanglewood takes place on August 3. Herbie Hancock on August 9, and Crosby, Stills and Nash on September 1 are additional highlights. The 2010 Festival of Contemporary Music, August 12-16, is also among the season highlights. In addition, the 2010 Tanglewood schedule features a series of chamber music and recital programs in Ozawa Hall, highlighted this year by a special appearance by Audra McDonald on July 18, a program featuring Bach’s Complete Suites for solo cello with Pieter Wispelwey on July 22, and two all-Chopin programs for solo piano with Garrick Ohlssohn on August 24 and 26. In a repeat performance of one of the most popular concerts in last fall’s Symphony Hall subscription series, the BSO, the Tanglewood Festival Chorus, and conductor Michael Tilson ThomasÃ‹Âš present Mozart’s glorious Requiem and Stravinsky’s neoclassical Symphony of Psalms. The Symphony of Psalms, completed in 1930, was commissioned by Serge Koussevitzky to commemorate the 50th anniversary of the Boston Symphony Orchestra. Written about 140 years earlier, Mozart’s Requiem dates from the last year of Mozart’s life and was left incomplete when the composer died. 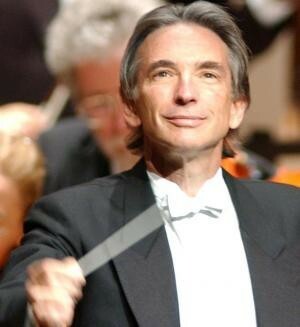 Michael Tilson Thomas is the Music Director of the San Francisco Symphony and Founder and Artistic Director of the New World Symphony. Maestro Tilson Thomas leads the Tanglewood Music Center Orchestra in its first Shed performance of the season, joined by the Women of the Tanglewood Festival Chorus, the American Boychoir, Fernando Malvar-Ruiz, music director, and mezzo-soprano Karen Cargill. In addition to the massive forces required, Mahler’s Symphony No. 3 stretches to approximately 100 minutes, making it the longest piece in the standard orchestral repertoire. Sunday night at 8 p.m. in Ozawa Hall, beloved singer/actress Audra McDonald, accompanied by pianist Ted Sperling, makes her Ozawa Hall debut in “A New American Songbook,” a recital offering an eclectic mix of standard favorites and songs written expressly for her by today’s finest musical theater composers. Ms. McDonald, who currently stars in the television series Private Practice, seamlessly blends musical genres and has won four Tony Awards and two Grammy Awards. In one of the season’s more unusual performances, harpist, vocalist, and medievalist Benjamin Bagby draws us back into the world of tribal society and Nordic legend, recreating in concert the epic Anglo-Saxon poem Beowulf, the oldest extant complete poem in English. Mr. Bagby, through song, speech, and playing his six-string harp, relates in Old English (with modern English supertitles) the story of the chieftain Beowulf, who defeats the monster Grendel in battle. Bach’s Suites for solo cello, popularized in the first quarter of the 20th century by the legendary Pablo Casals, are the pinnacles of the solo repertoire for the instrument. At 8 p.m. in Ozawa Hall, Dutch cellist Pieter Wispelwey offers a rare opportunity to hear all six suites in a single night, giving an extended-performance concert with two intermissions. In the third weekend of the Boston Symphony Orchestra’s Tanglewood season, the orchestra performs three concerts focusing on the work of German-Austrian composers. Johannes Debus, Music Director of the Canadian Opera Company, makes his BSO conducing debut leading the orchestra in a concert performance of Mozart’s The Abduction from the Seraglio on July 23, featuring Tanglewood Music Center Vocal Fellows and a professional cast that includes sopranos Lisette Oropesa and Ashley Emerson and bass Morris Robinson. On July 25, Hans Graf will lead the BSO in a showcase, in the great Viennese tradition, of marches, waltzes, and polkas by Johann Strauss II in a matinee program anchored by a performance of Don Quixote by Richard Strauss, featuring cellist Lynn Harrell and BSO principal violist Steven Ansell as soloists, and including the Radeztky March by Johann Strauss I. On July 24, the BSO performs an all-Brahms program that features the composer’s Symphony No. 2 and the Piano Concerto No. 1, with soloist Peter Serkin. The Tanglewood Music Center Orchestra continues its performance season Sunday night with a concert including youthful works by Mendelssohn and conductor Herbert Blomstedt leading the TMCO in Hindemith’s Symphonic Metamorphoses of Themes by Carl Maria von Weber.